ARE YOU SEEKING A MORE REFRESHED, RELAXED AND YOUTHFUL LOOK? Drooping eyebrows is one of the first noticeable signs of aging. Deep furrows on the forehead, frown lines over the eyes and drooping eyebrows together can make you look much older than you actually are or feel. Thankfully, a brow lift / forehead lift can give you a more youthful, animated and alert appearance. The skin begins to lose its elasticity. Sun, wind, and the pull of gravity all affect the face, resulting in frown lines, wrinkling across the forehead, and an increasing heaviness of the eyebrows. Even people in their thirties may have faces that look older than their years. The effects of aging are inevitable, and, often, the brow and forehead area show the first signs. A consultation with Dr Ansari will provide full insights into the options most suitable for your lifestyle that best suits your desired appearance, as well as opportunity to discuss your options. Good candidates for brow lifts are men and women who are otherwise healthy, but who are worried that their brow area contributes to unwanted heaviness above their eyes. Individuals who are interested in a brow lift might also want to improve the look of a tired, sad, or aged appearance, caused by unwanted drooping of the outer eyebrow area. WHAT ARE THE DIFFERENT TYPES OF BROW LIFT PROCEDURES? Temporal Brow Lift -This lift mainly elevates the tail of your brow and takes away the heavy and hooded appearance from your outer brow area. Endoscopic Brow Lift -This lift, which elevates your entire brow, may be performed if you have a relatively vertically-oriented forehead, which can facilitate the use of the surgical telescopes and instruments. Open Brow Lifts -This type of lift, which also elevates your entire brow, is performed using an open technique with a continuous incision and the removal of a defined amount of forehead skin. The pre-hairline open brow lift, which involves an incision made in front of your hairline, helps to elevate your brow, while also shortening a high forehead. Direct Brow Lifts -This lift involves an incision placed just above your brow and within a well-developed horizontal crease of your forehead. 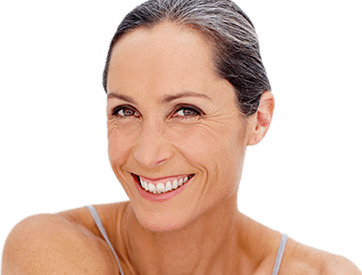 This type of lift is typically reserved for elderly individuals, who may not be good candidates for any other type of brow lift. WHAT RESULTS CAN I EXPECT AFTER MY BROW LIFT? After your brow lift, you can expect a subtle, yet elegant revitalisation of your upper face region. You don’t need to worry about scars, because with a browlift, the small scalp incisions are well-hidden by your hair. The results of the brow lift surgery are a more rested and revitalised upper portion of your face. This technique greatly reverses the angry, unhappy, sad or tired appearance you might have been suffering for a number of years. For example, if you have an angry look due to a heavy or sagging brow, a brow lift will bring a more natural, but dramatic transformation to your face, resulting in a refreshed and softened expression. The improvement in your appearance can be expected to last many years. However, you will continue to age and gravity will still occur, but with a brow lift, your brow area will always look more rejuvenated. If necessary, we can perform another brow lift in a few years. Yes, it is very common for us to perform other facial procedures, such as blepharoplasty or eyelid surgery or facelifts at the same time as a brow lift. Even body procedures, for example, body-contouring liposuction, abdominoplasty or a tummy tuck can also be combined with a brow lift. IS A BROW LIFT A PAINFUL PROCEDURE? You might experience some discomfort or pain, following your surgery, but this can easily be controlled with pain medications. WHAT CAN I EXPECT DURING THE RECOVERY PERIOD FOLLOWING MY BROW LIFT? You can expect to see some swelling and bruising, mostly around the eyes, however this is very common during the first 7 to 10 days after a brow lift. Due to this swelling, we advise you to sleep with your head slightly elevated, as this helps to minimise the swelling. You can also minimise the swelling and bruising by avoiding blood thinners, for example pain relievers, for 2 weeks prior to your surgery. On occasion, some patients might experience temporary thinning of the surrounding hair, but this eventually returns to normal in nearly all instances. A few individuals might also experience some temporary numbness above the scalp incisions, near the top of your head, but again this is only transient. Within a week after surgery, your sutures will be removed and you will be given instructions regarding the care of your wound. We will review the healing of your wound at your follow-up appointments. Most patients are presentable in public after 7 to 10 days, and you can wear make-up at this point to help conceal any remaining bruising. Though the incisions concealed within your hair may feel slightly raised for a short period of time after your surgery, the resulting scar will be less visible once the healing process is complete. For individuals undergoing an endoscopic brow lift with an endotine device, the outline of the endotine device may be felt initially, but this will fade as the endotine begins to absorb into your tissues. Lastly, incisions made for the direct and indirect brow lifts may appear slightly pink for the first few days or weeks, but these will fade as the scar matures and remodels over the following months. WHEN WILL I BE ABLE TO RETURN TO WORK AFTER UNDERGOING A BROW LIFT? Work and other normal activities can usually be resumed within 7 to 10 days after your brow lift. If you are not bothered by bruising or swelling, you may be able to return to work sooner. WHEN WILL I BE ABLE TO EXERCISE AFTER MY BROW LIFT? Aerobic activities can usually be resumed within 10 to 14 days after your brow lift. On the other hand, it is best to leave strenuous activity and resistance workouts until about 3 to 4 weeks following your surgery. WHEN ARE THE STITCHES REMOVED AFTER THE BROW LIFT? The stitches are usually removed 10 days after your brow lift. ARE THERE RISKS OR COMPLICATIONS WITH THE BROW LIFT? As with all types of surgery, there are potential risks associated with the brow lift. The risk of infection is low and bleeding complications are uncommon provided that patients follow the surgeon’s instructions. Any surgery involving the brow and forehead carries the potential risk of damage to the frontal branch of the facial nerve which helps elevate the brow on a normal basis. Numbness of the scalp is another known complication of brow lift due to sensory nerve injury. Recurrence of brow drooping can also occur. The results of your brow lift varies depending on the type of lift, the severity of the correction, genetic factors and the use of adjunctive measures (such as anti-wrinkle injections) to prolong the result. Generally speaking however, a brow lift may last up to 5-10 years, sometimes even longer. At My Cosmetic Clinic, our temporal brow lift surgery procedures costs $4,950 inclusive of GST. Your brow lift is normally performed in our clinic, using twilight sedation and local anaesthetic. HOW DO I SCHEDULE AN INITIAL CONSULTATION FOR A BROW LIFT? Dr Ansari is an experienced surgeon who is dedicated to helping patients achieve the results they desire. If you are interested in experiencing the benefits of a brow lift for yourself, contact My Cosmetic Clinic. You can call us on 1300 85 49 89 during working hours. You can also book your appointment or you can send an enquiry through our contact form on this website.